April marks a special anniversary in my life. I am celebrating the 5 year anniversary of Women’s Ministry Toolbox! Women’s Ministry Toolbox would be nothing without you! Really! Indulge me, if you would, as I pause to reflect on how this all got started and how God has grown this ministry beyond anything I imagined. 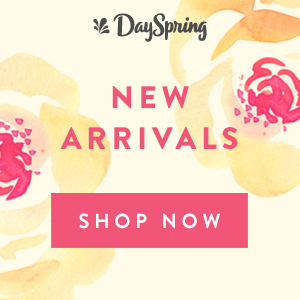 In true women’s ministry fashion – I’ve got gifts and prizes! Don’t miss the details at the end of this post! Frustrated that I could find very little online for free women’s ministry ideas, God called me to put down my (then) current blogging project (exploring Bowling Green, KY) and put a pen to my true passion – women’s ministry. I spent hours learning how to use WordPress (the framework for this site) and pulled from my experiences (at that time) of leading two different women’s ministry teams in two different churches in two different states. As with most things in life, there was no overnight success story. Week after week I’d write and share what God had done through our team, lessons I’d learned from others, and tips and tools that I hoped would help each one of you. Little by little God brought women’s ministry leaders to my little corner of the internet. 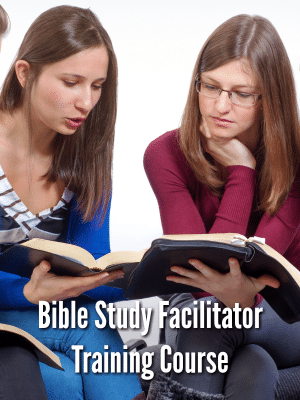 Today after five years of sharing icebreakers, tips, ideas, and Bible study reviews almost every single week, the site has become a substantial women’s ministry library with over 400 posts. God’s pushed and stretched me as I’ve learned to create and edit videos, e-books, and social media posts. I remember noting my 300 subscribers on my first media kit. I was so proud of that number, not knowing God would add thousands of leaders to my email list in the years to come. What started as a simple website now includes a robust Pinterest account, growing YouTube channel, Facebook page, Facebook Group, an online course, resource e-books, and an Instagram site. And there are more excited things to come! With every passing year I’ve thought, any day now I’ll run out of ideas. How much can one really write about women’s ministry? Yet, by God’s grace, the ideas continue to flow and He continues to lead me to new things that I pray will grow and strengthen our community. When discouragement hits, as it does often, and I wrestle with continuing on, God encourages me through your sweet notes and messages. You’ll never really know how much they mean to me! It can feel very isolating on this side of the computer screen. This celebration really isn’t about a website or any of the other tools God’s led me to create – it’s really about YOU and the community you’ve helped to build online. You’ve shared your joys and struggles, through comments on the blog, in response to Facebook posts, and now on a more personal level in the Facebook Group. 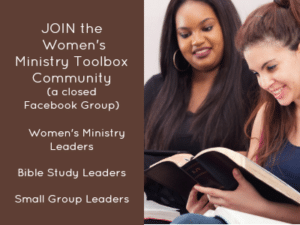 Side note: If you haven’t yet joined our closed Facebook Group – Women’s Ministry Toolbox Community – I encourage you to do just that. Almost 1000 women who are serving on their women’s ministry team or as Bible study leaders in their church or local community are actively praying, sharing, and encouraging one another. It’s been a blessing to be just a small part of what God is doing there! I am blessed to be a spectator and an instrument for connection as God knits leaders together from various denominations, countries, and backgrounds, with the singular goal of telling every woman we can about Him. To celebrate you and the work you are doing in light of the Gospel, I’ve created a free printable for you. I’ve recently been reading through 2 Corinthians in my personal Bible study time and 2 Corinthians 5:20 reminds us of our purpose as women’s ministry leaders. I knew it was one I wanted to put on a printable graphic for you. Click the link below to open the free PDF file. You may want to print it off and place it in a frame as a reminder. I’m giving away prizes to 5 lucky readers! Enter via Rafflecopter at the bottom of the post. You may only enter once. Winner must be 18 years of age or older by April 14, 2018. Winners will be selected randomly and will be notified via email. Winners must respond within 24 hours or a new winner will be selected. I’ve also created a 20% (1/5) off coupon code for every single Women’s Ministry Toolbox resource. Please note you MUST enter the coupon code: FIVEYEARS to get the discount. The coupon code can be used multiple times, but expires at 11:55 PM EST on Tuesday, Monday, April 30, 2018. *North Carolina residents, please note sales tax may be added. Don’t forget to enter the coupon code FIVEYEARS to get the price listed. Please know that your purchase helps to cover the monthly expenses of Women’s Ministry Toolbox site. I thank God every day for allowing me to do what I do. I thank you for being a BIG part of it! May God continue to grow you, stretch you, and refine you as an instrument used for His glory. May the women God places in your path be drawn to Him. May your ministry point every woman to the hope that is only found in a relationship with Jesus. One year ago: Is your women’s ministry sexist? Awesome! I’d love to hear how it goes. 🙂 Praying your women will strengthen their prayer skills. Thanks for pursuing this ministry! I really appreciate the opportunity to learn from other women. Congratulations on 5 years!! Learn to bless others with agape! Love the encouragement and resources you continue to give us!! Here’s to many more fruitful years!! We are going to give the Prayer Warrior bootcamp a try as a 1 day retreat. Will probably add some of the prayer stations that have been discussed on the FB page. So thankful for this ministry and all the resources it provides for our local churches. Thank you for 5 years. You are such a good example and encouragement to me! Your site has been such a blessing. I appreciate all your ice breakers and ideas that you share. Thank you for all that you have done to help encourage and teach women leaders. I used to think the same thing! Praying for you all as you decide upon your summer schedule! Congratulations Cyndee! I remember working with you MANY years ago when you were Director of Women’s Ministry at Salem Baptist in Cary. God’s hand was upon you then – and it’s clearly upon you now. Congratulations! So excited for you as you hit this milestone! Congrats!! Thank you so much for the tools, encouragement, and your experience over the past few years! 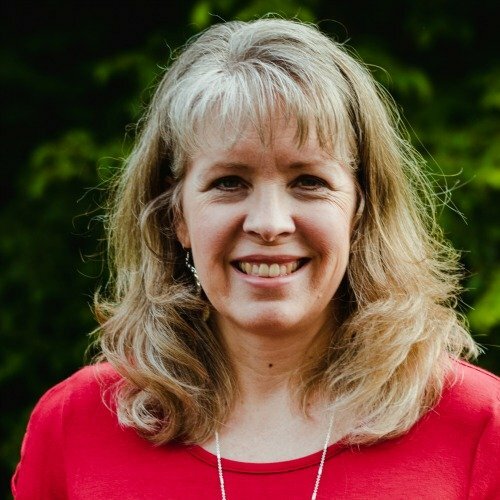 Your site, your labor of love service for the Lord, has inspired me to help the women in my own church, helping me to become the leader the Lord has called me to be. Continued successes and blessings! I found the recent article on Summer Bible Studies/Events super interesting and helpful. I’ve been of the mindset that everyone is gone on vacation over the Summer and so it’s not a good time to do anything. That article helped me look at things differently. Congrats! You have some great ideas. Cyndee, congratulations on 5 years! I think I have been following you for almost four. I appreciate your tools and the work you put into keeping us current!